26 Weeks With Fraternal Boy/Girl Babies! 26 Weeks and 3 days! My husband and I are first time parents who were certainly surprised to learn that we were expecting fraternal twins (due April 9). I am really interested in exchanging emails with other mamas. I've been very fortunate throughout the conception/pregnancy thus far - and hope the rest goes just as smoothly. Comments for 26 Weeks With Fraternal Boy/Girl Babies! My doctor didn't say that a c-section was necessary at that point because there is still plenty of time for the babies to move/turn. 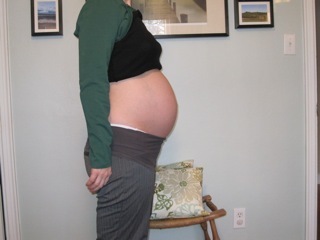 In fact, my little girl did turn since that appointment and now both are breech! She said that they can still turn up to about 34 weeks, but that it would be less likely the bigger they get. Ultimately, I would say it depends on Baby A. My doctor said that as long as Baby A is head down, a vaginal delivery is possible. I am 28 weeks along now and I spoke with my Dr. today who suggested I get a C-section because my babies are ying-yang. I was wondering if your doctor has recommended one way or another?